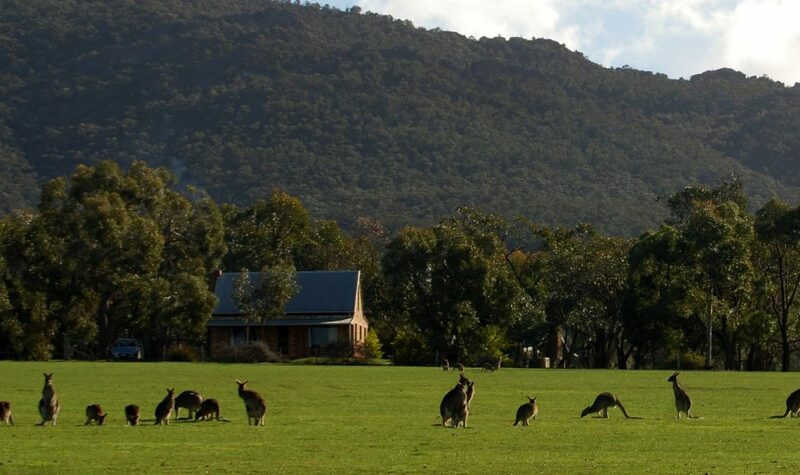 Halls Gap Zoo and Grampians Pioneer Cottages have teamed up to offer you the ultimate KEEPER & SLEEPER. (Keeper for the day- Pioneer for the night) packages. These zoo and accommodation packages can be tailored as required and will cover zoo entry, ‘Animal Encounters’ or ‘Keeper for the day’, and two nights’ accommodation at Grampians Pioneer Cottages (includes 10% discount on accommodation on weekday bookings). This exclusive experience will have a keeper come to collect you from the shared gate between the two properties. In this experience, you have the opportunity to assist a zoo keeper for a morning. Tasks include helping with daily exhibits maintenance, preparing animal diets enrichments. This experience is only available for ages 13 years* and over and is for maximum of one person. Participants must be physically fit. Starting time is 8:30am and duration of four hours. *Participants under 16 years of age must have their guardian on site or immediately accessible for the duration of the experience. Staying at the cottage will be acceptable.